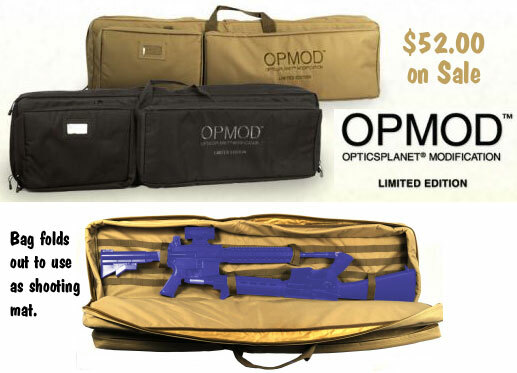 Dvor.com is a “private sale”, members-only discount site operated by OpticsPlanet.com. If you register (for FREE), with Dvor.com, you can purchase at low, “members only” prices. The deals change regularly. Most of the promotions last one or two days, but some special sales are good for a week. Here are some of the better deals for the next couple of days. Remember there are new deals nearly every day so you need to check Dvor.com frequently. We provide links for these three items. However to see the sale price or to order, you must first register with Dvor.com. Only Dvor-registered members get the super-low, limited-time sale prices. This is a double-rifle tactical case/drag bag that folds open to serve as a shooting mat. 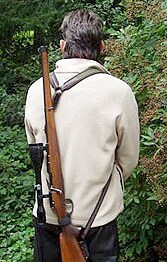 There are removable shoulder straps for field carry. The main interior compartment is 45″ long, and there are two large outside pockets, one 27″x10″ and the other 14.5″x10″. The OP MOD combines rugged PVC material, PAL webbing, and heavy duty zippers. This double case/shooting mat comes in black or tan. NOTE: This bag is too short for rifles with barrels much longer than about 26″. This is not an elite-quality case/drag bag, but it is a good value at the $52.00 sale price. 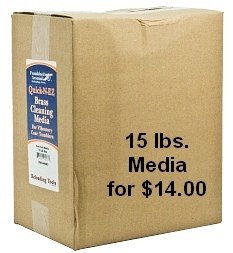 Frankford Arsenal Corn Cob Media – 15 lbs. While this Editor prefers walnut shells for brass tumbling, many folks favor Corn Cob Media because Corn media produces a very brilliant shine with less dust. The Frankford Arsenal Corn Cob Media has been pre-treated with brass polish to work more effectively. We recommend adding a bit of liquid Flitz to the mixture along with a small splash of mineral spirits. If you add Flitz or other liquid polish, be sure to run your tumbler for a few minutes to distribute the liquid and avoid clumps. Dvor Sale Price: $44.00, Reg. $93.00 | Sale ends 6/30/2011! 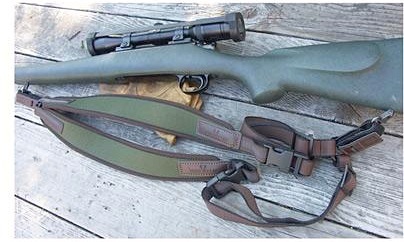 This is a high-quality, neoprene padded double sling that lets you carry a heavy hunting or tactical rifle securely, centered over your back. The Double Sling leaves both arms free for climbing hills, trees, mountains or carrying gear. The system is similar to the sling rigs used by Biathlon competitors, which stabilize the rifle even when you’re moving quickly or climbing. If you miss out on Dvor’s $44.00 price, Amazon.com has the Vero Vellini Double Sling for $54.99. Share the post "Check Out Daily Specials on Dvor.com"
This article compares apples to oranges with the Frankford Arsenal Corn Cob Media by comparing a bag price to a bucket price. MidwayUSA sells this in a bag just like DVOR at a similar price. You’re right! We missed that offering, but have modified the story to show it. Thanks for the correction! But readers should be advised that the $14.99 MidwayUSA price expires 6/30/2011, and then goes to $22.99. So act quick if you prefer to buy from MidwayUSA. The DVOR price is good through 7/1/2011, then goes up to $16.99.